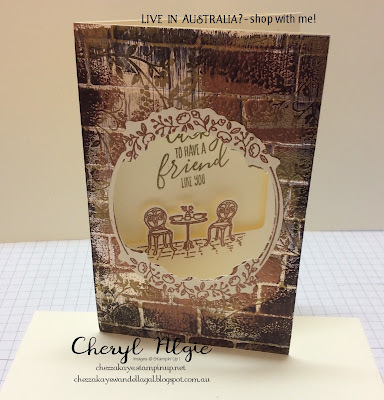 Cheryl Algie "Independent Stampin' Up! 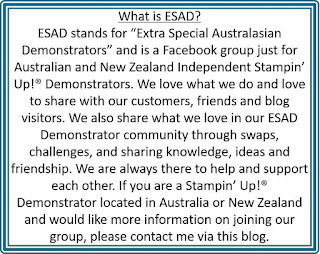 ® Demonstrator"
Hello and welcome to the ESAD Retirement List Blog Hop organised by the wonderful Lou Kitzelman ! 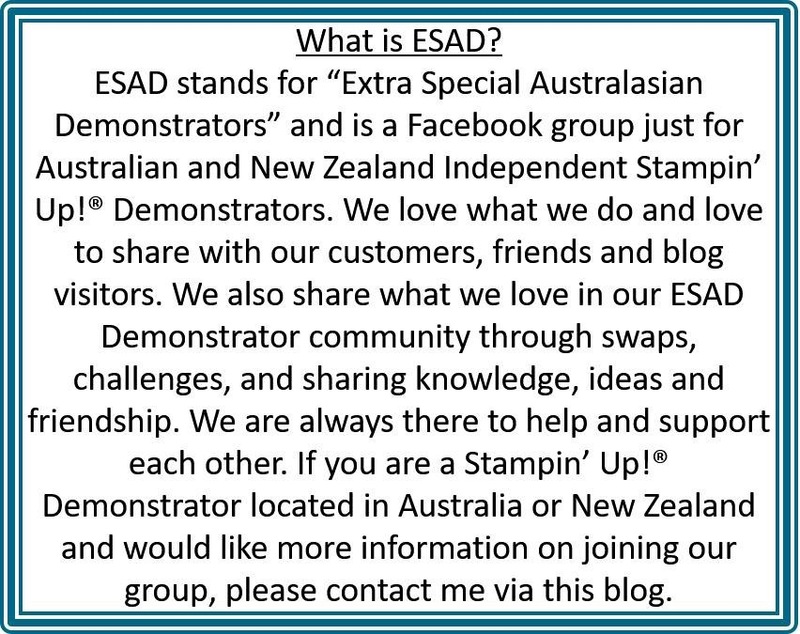 I was lucky enough to bump into Lou in Sydney a couple of weeks ago for On Stage , our SU training day ! That's one of the best things about attending On Stage , meeting up with fellow demonstrators ! 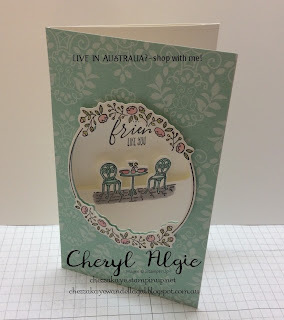 I am excited to share with you two cards I created using the super cute Sweet Little Something stamp set soon to retire from the occasions catalogue . I decided I'd create a card using a different fold and my first card is a simple fold . 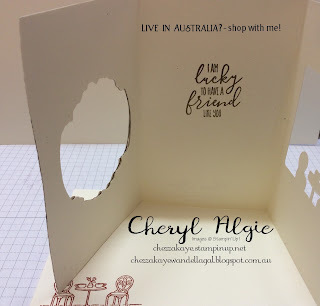 just fold your card stock in half as you normally would , then fold the front back on itself in half again ! I love how this is so quick and easy and no measurements are required ! I used my stamparatus for the 3 step stamping of the bunny ! I used an easel card style for my blue bunny ! I love this set and will be sad to see it leave . i am really sad that Charming Cafe is set to ask retire as it has been one of my all time favs ! 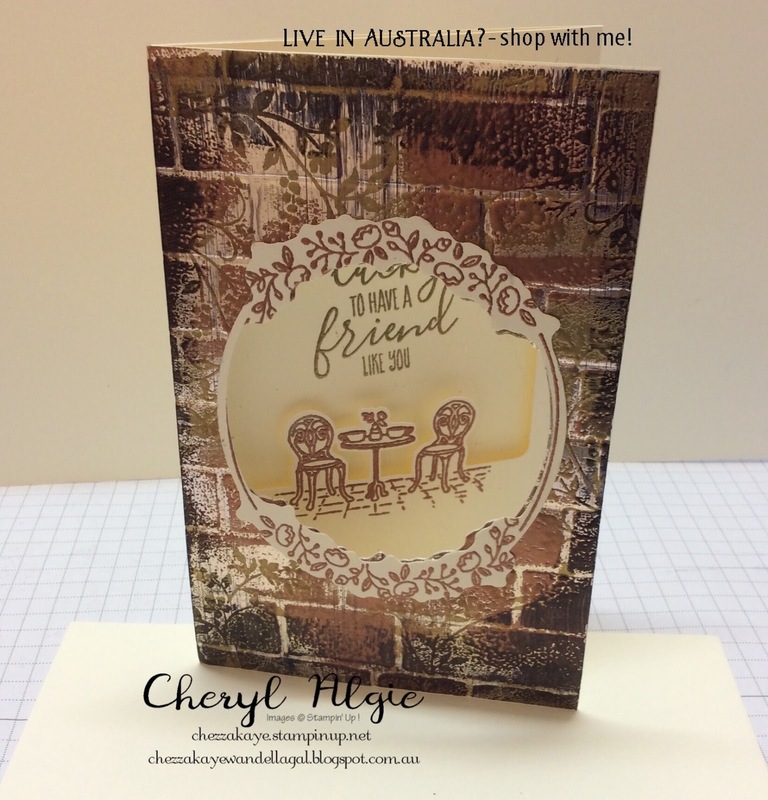 I used the Tarnished Foil technique to create this card and will have a tutorial for this technique after next weeks classes so stay tuned ! 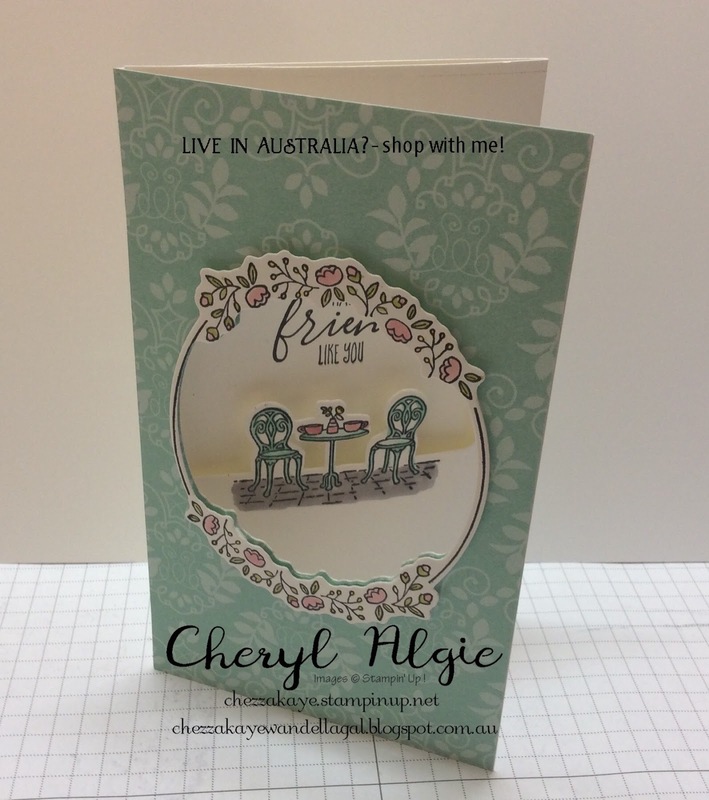 These are tri fold cards but you can use this set as a standard card as well . I love how on can create a totally different look just by changing papers or techniques ! 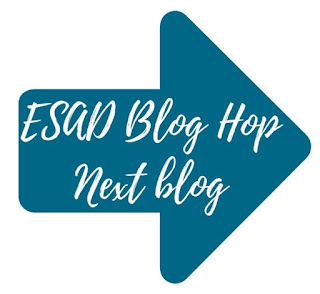 Now ts time to see what Megan Lenske has created for us ! There is a list of participants in case you get lost along the way after the next arrow .